A person looking for Start an Internet Business begins their search by looking for the instant mashed potato route: (1) Quick...build a websitre in an hour and (2) Easy...complete these easy 5 steps and you're in business! This is not a road for sure fire success. I’ll tell you why they do it, why this method seldom, if ever, works and one proper way to make sure your time and dollar effort pays off. You’ll see why starting an online business is more easy than starting a brick and mortar type store in a strip shopping center. Based on more than 40-years of starting and growing both online and offline businesses I’ll share my and 100’s of other entrepreneur experiences. This will be a frank discussion. Please take the time to read further. Why the Search for Quick and Easy? We are all so busy and want answers now, I understand. I do too! No, I truly believe it’s not because folks are lazy, they lack motivation or think they too can make millions of dollars using the Internet easily. No, I believe it’s because they actually do go on the Web and run across thousands of craftily worded websites promoting and promising all kinds of $$$ rewards, if the visitor to their website would only purchase their product. Have your website up and running in less than an hour, a day, a week, etc., we’ll show you how. Buy our product and get free hosting. We host your website for $10 (or whatever) a month. We’ll even make a website for you so you can start attracting visitors from all over the world. Gosh, if only any of the above showed even the tiniest possibility of your making money, then the population of the whole world would know how to start an Internet business the easy way…and they would!! But, success in life is not like that. Success in business is not like that. I could bore you with 10-pages written about each of the above 4 pitches and why they absolutely don’t work. But I’ll spare you. Why these Instant Mashed Potatoes Pitches Fail? When was the last time you went to page 3, page 4 or pages 5 through 659,000,000? That’s why 99% of ALL websites fail to attract any traffic except by the relatives of the Webmaster! When was the FIRST TIME any pitch you found online about how to start an Internet business showed you absolute PROOF that you (not them) could make more than hobby money using their product? Well, I only found ONE!! Please see below. With the above background, as a demonstration of how not to do it, we now turn to a way that is highly successful and has demonstrated proof that it works! 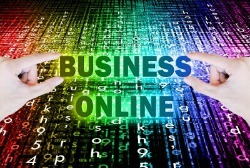 Look for an Internet Business Builder who will guide you step-by-step in every detail as you build a “business” website. Look for a company that will show you exactly how to position your online business idea in the best sales niche possible in the marketplace that will earn you the most income. The best keywords to use on every page of your Site in terms of your competition and profitability. The $$ value of each keyword you consider using the “Google Adwords” prospective so you maximize your income potential. How to set up your online business social media accounts with a couple of clicks of your mouse. How to “Mobilize” your Site for all mobile devices in less than 15 minutes (even if you’re a novice). You may contact hundreds of these entrepreneurs, “prior” to making a purchase, to obtain an unscripted opinion of it (Who else encourages you to do that? ). Make sure this company offers a world-class Forum where thousands of folks volunteer their time to help other entrepreneurs be successful. All for free. Look for all this (and lots more) for less than $30 a month including hosting. The links below contain the facts I used in making a decision on how to build an Internet business. My life has been changed forever! I made the right choice and I didn't know a damn thing about building a "business website" rather than just a website looking for business. If you want assistance in building your own profitable online business I provide FREE counseling to get you started in the right direction. This is not a gimmick or a trap to get you to buy something. This is my sincere offer to help you as part of my mission in life to Pay It Forward. I do this as part of thanking all those who have helped me in my entrepreneurial life. Period! Just click on my picture above.